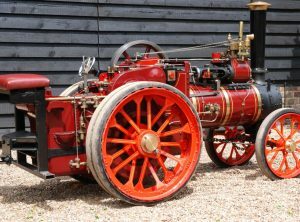 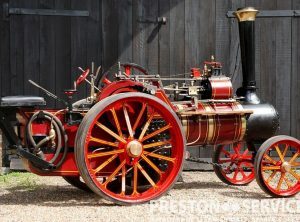 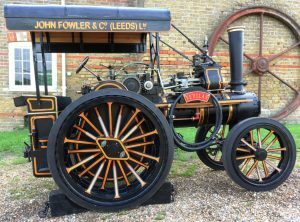 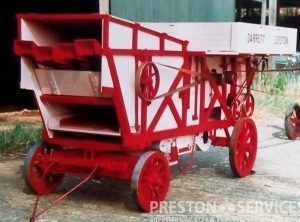 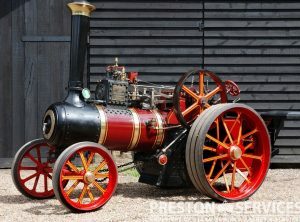 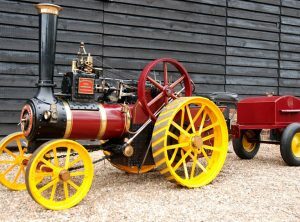 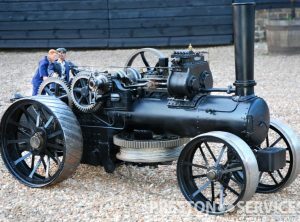 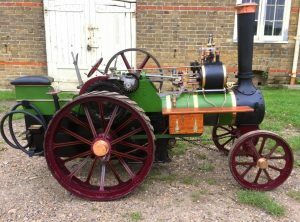 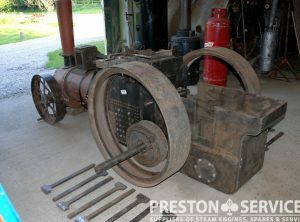 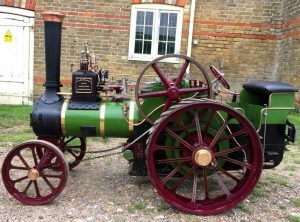 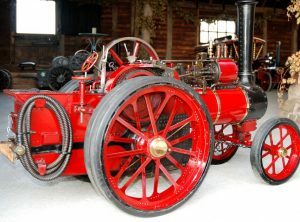 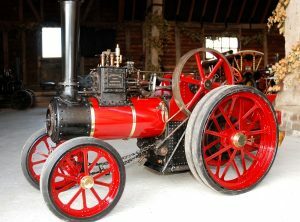 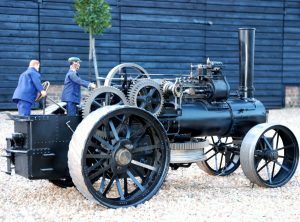 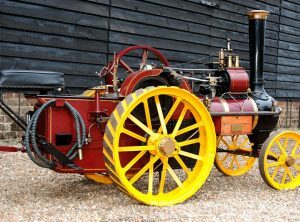 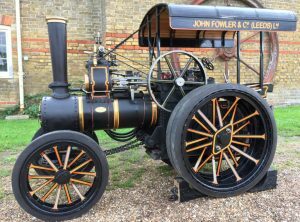 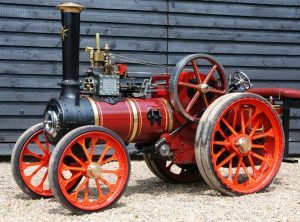 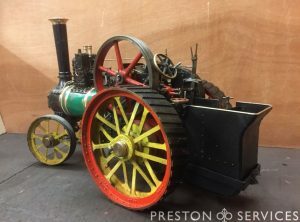 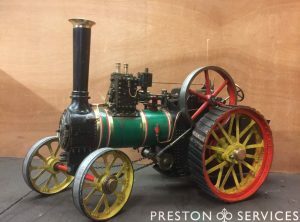 This large, half size traction engine is based on the 7 NHP Foster agricultural traction engine. 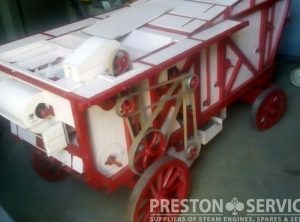 With a professionally made and tested steel boiler, this part built engine is approximately 75% complete and includes machined cylinder, gears and shafts, etc and all major components are believed present. 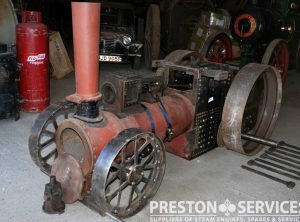 For sale as an uncompleted project. 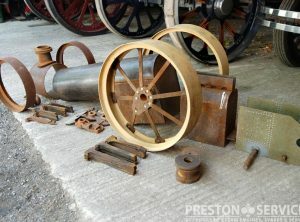 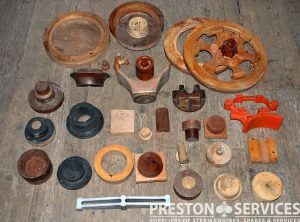 A collection of wooden patterns for casting parts for 6″ scale (half size) Burrell agricultural engines. 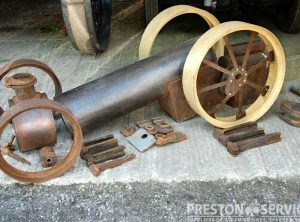 Patterns include inc. differential, perch bracket, motion guides, chimney caps, hub caps, various hubs and bearings, firebars, etc.